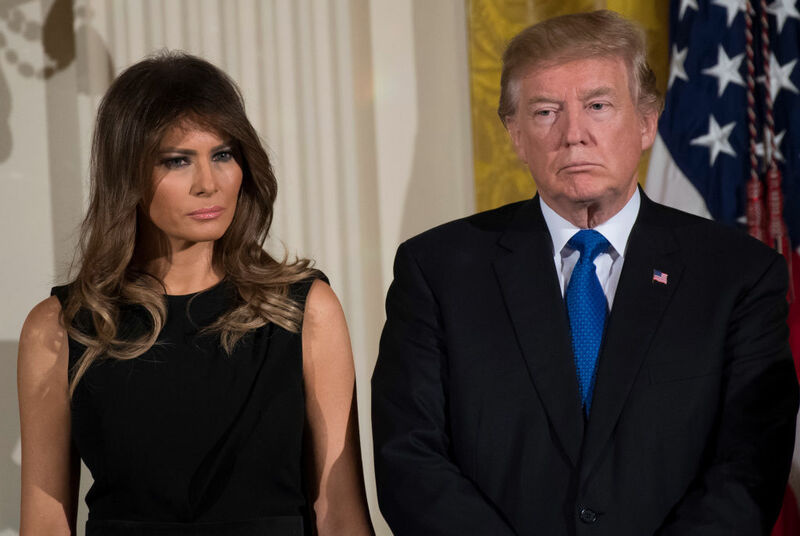 President Donald Trump has angered people by admitting he has been too busy to buy a birthday gift for his wife Melania. Okay, so we know you are the President of the United States which must keep you on your feet but come on Trump! You must have plenty of secretaries who can help pick up a present for poor Melania which quite frankly is a privilege the rest of us don’t have! 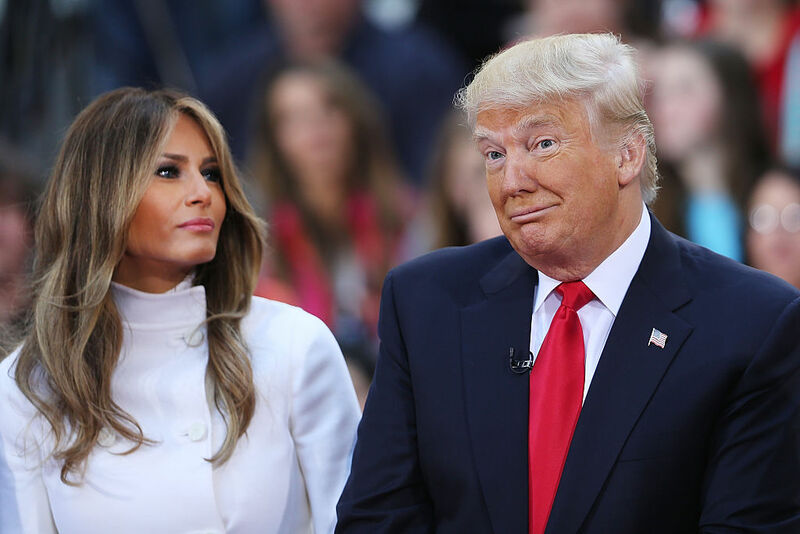 Calling in to Fox & Friends, Trump admitted he failed to get Melania a present for her 48th birthday which is today (April 26). I picked a very, very special day because it is Melania’s birthday. 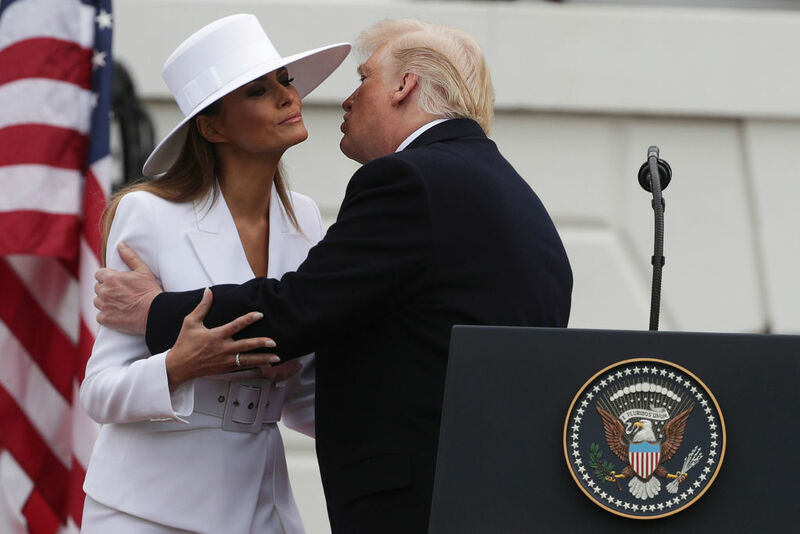 I said, ‘Let’s do it on Melania’s birthday.’ Happy birthday, Melania! Oh I am already cringing! Host Brian Kilmeade then asked the logical question ‘What’d you get her?’ which was responded with a hesitant pause. Well, I better not get into that ’cause I may get in trouble. Maybe I didn’t get her so much. I got her a beautiful card! You know I’m too busy to be running out looking for presents. OK, but I got her a beautiful card and some beautiful flowers. She did a fantastic job with France! There wasn’t even any point in The Donald trying to recover as the damage had been done. And who says romance is dead? Of course the internet rejoiced at this interview, which is quite frankly pure comedy gold, giving people yet another opportunity to mock the POTUS. I think the most overlooked aspect of Trump’s trainwreck of a Fox & Friends interview is the fact he made it clear he didn’t get anything for Melania for her birthday today. I think that tells you everything you need to know about him. I think the most overlooked aspect of Trump’s train wreck of a Fox & Friends interview, is the fact he made it clear he didn’t get anything for Melania for her birthday today. I think that tells you everything you need to know about him. ~Melania Trump, excitedly shaking a birthday gift box. "Oh, I hope its a divorce!" ~ Melania Trump, excitedly shaking a birthday gift box. Trump explains that he got Melania flowers but not another gift because he’s very busy being president. Trump explains that he got Melania flowers but not another gift because he's very busy being president. For Melania’s birthday, Trump gave her an interview where he admitted he had spent a night in Moscow, and that Cohen WAS his lawyer on the Stormy Daniels matter — two things previously denied. I can’t wait for Mother’s Day!! Trump has been married to Slovenian model Melania since 2005 after the pair first met her at a party back in 1998.